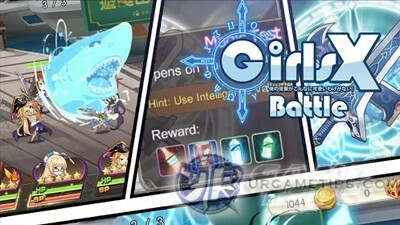 Here's the Part 2 of our quick walkthrough guide and tips for the Android and iOS RPG game Girls X Battle. The 1st Part can be viewed HERE. - A place where you can sell your loots. Note that only sell the ones that pops up as you enter. - If you have extra Coins, buy some items here just in-case you'll need them later, especially EXP Juices and Rare Gears for Promotion. The Merchant Top Sale: Randomly appears after battle, check and buy what you need for leveling or promotion. The Limited Time Sell: Another Store that can be unlocked at Academy Lvl 40. - A nice place to get Diamonds, Coins, PK Points for the Arena Exchange Store, EXP items, and more. Note: Use your PK Points for purchasing Scrolls only, evolve them to 5* then start buying gears. - Fight teams with lower Team Attack than yours to get a higher chance of winning. Free Diamonds will be rewarded depending on the difference of your highest rank to the next one. Check your Mail right after the fight. - Update your Defense team using the "Adjust" option, this will also update your current Team Attack. - If you can't win anymore, you an still purposely lose fights to complete the "I Dare You" Daily Task. - Also check the 5 chance reset time (GMT+8: 05:00 or 5 AM), and the time when they will finalize the rankings and send the Arena rewards to your Mail (GMT+8 21:00 or 9 PM). Use those times and increase your rankings before they finalize the rankings, this way, you'll get better chance of getting more rewards. 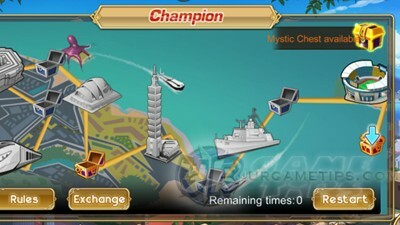 - Check the "Ranking" section to see what other players are using, observe and learn some combinations and ideas here. - A very nice place to farm EXP items (Magical Test) and Coins (Physical Test). - Select an available stage, then check the levels of your enemies here to see if you can beat them. - Note: Never sell your EXP Juice! - Although it's tempting to sell them for Coins, especially early to mid game, I would still recommend that you keep them for later Lvls, for your core or other Battle Girls. - Do this only once your Battle Girl reached at least Blue+1, Blue+2 or Purple Gears because from here on, promoting to the next rank will take a while. Check and increases stats that is important for that Battle Girl first, especially weapons for DPS, and armors for tanks. - If you need to complete the Daily Task "Gear Enchantion" early game, just use Enchant Books. If you don't have any, just use a common item for now (note that these items can't be refunded after promotion, unlike Enchant Books). - Note: Never Enchant just before Promotion, or else, you'll just waste a lot of Coins. All Stats from Gear Enchants will NOT carry over after Promotion, only the base stats of the gears equipped. - A nice place to get rare gears for promotion, start after you get your girls to at least Blue+. - Customize your team according to what you need, and to fulfill the requirement of the stage. 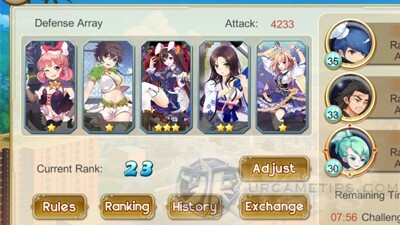 - To check the element of your Battle Girls, refer to the lower right corner of their card portrait. - Conquer Milerra = Water, Thunder, and Wind Battle Girls only. - Conquer Rania = Fire, Water and Thunder Battle Girls only. - Conquer Aladinns = Fire and Wind Battle Girls only. - So if you are looking for tanks, I suggest you get 1 Fire or Wind, and 1 Water or Thunder. These 2 tanks will cover all stages. - The best way to earn lots of Coins, especially if you can complete all 15 Stages to claim over 500,000 Coins!. Plus, it doesn't require Stamina to play. - Focus on creating multiple teams, or 1 team with nice backups for this Mode, one of the challenging features in the game. - Use your Ultimate skills wisely per stage! - Avoid using "Auto Fights" unless you really intend to. - For the first 1 to 5 stages, try to fill all of your Battle Girls' MP bars, including your reserves. 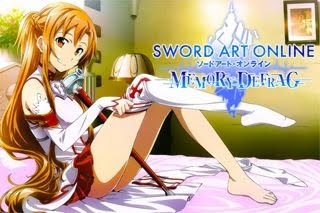 - Number 1 rule: Use "RETREAT" if one of your main Battle Girl is dead! - Number 2 rule: Use "RETREAT" if your team is at a disadvantage! - Number 3 rule: Use "RETREAT" if you want to try a different strategy ("for learning purposes hehe"). - For tanks, get or hire Succuba from your guild, but if you don't have her, you might want to upgrade at least 2 other great tanks like Leona, Iron Fist, Wildtress and more. - For DPS, I highly recommend Blowie (also hire from guild if you don't have her), the best Battle Girl for Champion Mode, because she can spam her Ultimate skill every round, and can also tank when your front line falls. - Other high DPS Battle Girls are also ok early game like Gambler, Jade or Cynthia. - Optional: Charge your backup DPS Battle Girl's MP bars during the early stages then fire them when needed at later stages. - For Control, choose any Mid position Battle Girl, with an Ultimate Skill that can stun, freeze, silence, or petrify all enemies. - For Support (use two), go with Tenesse, Elvis, Angel, or Psychic, but also keep Geisha's Mp bar full, in case you need healing. - But!, you can open chests every after battle. Rewards can be Coins, Items, Scrolls and also a chance to instantly acquire Battle Girls! - Rewards increases depending on your current Academy Lvl. - Note: Only spend your Champion Trophies on purchasing Scrolls! Evolve them to 5* then start buying gears. - Contains various items including full purple gears, nice if you are willing to spare some Diamonds for it, but make sure that you have enough Diamonds for Stamina first. - Join a guild with a good number of players. If you can't find any open to all Guild, go to the World Chat and find Guild IDs posted by other players. Enter the guild ID using the Search option. - A nice free way to get some extra Stamina. - Lend a Battle Girl, if your guildmates hires them, you'll get a nice amount of Coins! - If the majority of your guildmates' Academy Lvl is around Lvl 40, you might want to deploy a Battle Girl who is around Lvl 40 too, this way, you'll get a high chance that your girls will be hired. - Recall or Return them to claim your Coins. - To hire a mercenary, go to any stage battle. Access the team selection screen then select the [BFF] Tab (Stick Figure). Open up a slot then choose a Battle Girl for that Stage or Mode. - Check Rules section in-game for more info. - Use this option wisely, especially for the Champion Mode stages or other features. - You need to open and complete Chapter 7 Normal Mode first to participate. - Apply for an item reward via the "Trophy" section. - Note: Only spend your Guild Badges on purchasing Scrolls! Evolve them to 5* then start buying gears. - Go to your Avatar or Account settings screen ("upper left corner"), then select Quit Guild. - Store: Gives EXP Juice (unlocked at Academy Lvl 46). - Market: Gives Scrolls (unlocked at Academy Lvl 49). - The amount of resources you gain depends on the Attack Power of your defending Team. - Your team has a maximum of 10 working hours, after that, you need to collect the resources to let them continue. - You can also get some Diamonds after completing a workplace! - If you can find a suitable team that you can attack (preferably around your Lvl), go for it still to complete the Daily Task "Robbery" for an extra Academy Exp. - Raiding will also net you some Diamonds, so go and try to get some wins! - If your first team attack didn't win, you can still re-enter and continue the fight with another team. So even if you are up against a strong team, you can still have a chance to win the battle. - If you reached this point, then I hope you already know what you are doing. Energy, Coins, Diamonds, EXP items, Promoting, and Evolving shouldn't be a problem, since you already know where and how to get them.